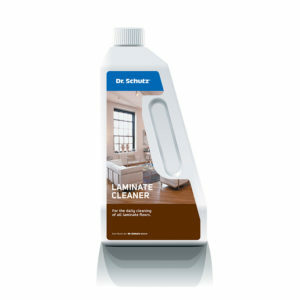 Can be used on all hard floors, such as PVC & LVT, linoleum, stone floors and all types of wood, cork and laminate floors. Especially suited for laminate flooring (covered by standard EN 13329). Evenly spray the cleaning agent onto the floor without allowing the surface to become too wet and simply wipe over the floor with a clean mop. 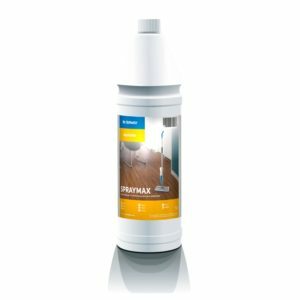 Pour the contents of Spraymax into the container and operate the spray-lever to slightly moisten the floor and remove dust and fine particles of dirt. Do not dilute the Spraymax. 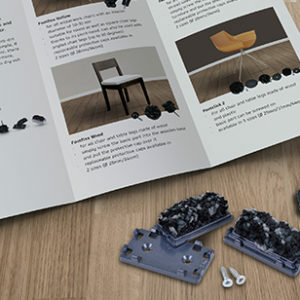 Before using, test the floor covering at an inconspicuous spot for material suitability. For moisture sensitive floors, it is strongly recommended and beneficial to use the spray mop solution to only slightly moisten the floor whilst cleaning. Clean the floor working in sections of a maximum of 5 square metres at a time. Rinse out the mop upon completion of work or if it becomes very soiled during the cleaning operation. 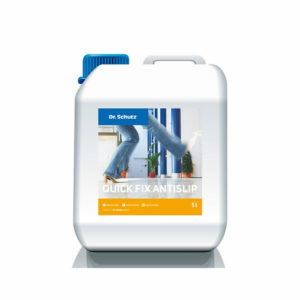 Spraymax should be stored in a cool, dry place in its closed original container. Keep locked up and out of the reach of children. Do not dilute the Spraymax with water. It is recommended to only use Spraymax with the Spraymop.